By the time they created Hydro-Tec, both founders had already gained a track record in concrete sawing and drilling. The pair met when working for the German subsidiary of a Swiss manufacturer. Kirsch managed the subsidiary's day-to-day operations whereas Kimmel was in charge of sales. With this combination of skill sets, it was only a matter of time before they decided to take the plunge and launch their own company. Hydro-Tec's beginnings were humble and not much different from many other suppliers in this business. Hydro-Tec began operating out of a vacated army barracks on 1 July 1998 with 12 employees. The budding company focused on manufacturing and selling core bits and diamond blades for wall and floor sawing systems. It also provided equipment maintenance and spare parts supply services. Hydro-Tec’s tools quickly gained traction in the market and became a stepping-stone to further innovations. Since day one Hydro-Tec's founders envisioned it to be an equipment manufacturer in its own right so the thrust now was on developing machines for concrete cutting and selective demolition. The first models were a drilling rig for up to 300mm in diameter and a mobile concrete splitting press with a crushing force of 2,000bar. The start of one of the most fruitful and productive collaborations in Hydro-Tec's history dates back to 1997. It was then the company met with the future founder of Sweden-based Tractive Anders Johnsen. A gifted engineer, Johnsen was focusing on designing sequential gearboxes at the time. First hydraulic wall saws featuring the now well known Pentruder system were developed in 1995-96. Two years later the Pentruder 6-10/Pentpak 15 series was launched, and it was Hydro-Tec that introduced it to the German market. 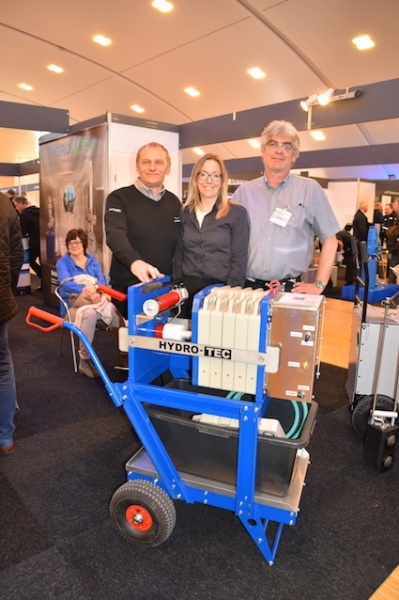 Since then Hydro-Tec has remained Tractive's partner in Germany. Tractive was not the only manufacturer which Hydro-Tec developed close ties. Mekanor, a Norwegian producer of floor saws under the Sundt brand name, became another of the company’s long-term partners. According to Hydro-Tec, Sundt electric floor saws are appreciated by German contractors thanks to a combination of robustness, high performance and attractive price. 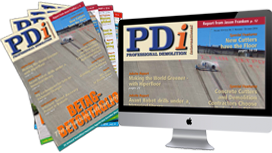 Later Hydro-Tec hammered out successful partnerships with drill motor specialist Weka and Swedish dust control equipment manufacturer Pullman Ermator. Five years into its existence Hydro-Tec outgrew its premises in Schwabach and found a new 2,000m2 home 5km away in Rednitzhembach. At the turn of the millennium, the company started making inroads into neighbouring markets. The company’s first choice was German-speaking countries such as Austria, Switzerland, the Netherlands and some Eastern European states. In January 2006, Hydro-Tec established a wholly owned subsidiary in Switzerland with the purpose of supplying Pentruder machines and its own diamond consumables to local users. Originally based in Lenzburg, Hydro-Tec Schweiz was relocated to Hallwil in 2016. The subsidiary has nine employees selling concrete cutting hardware and diamond tools, as well as providing maintenance and after-sales support. In 2015, the company expanded into Italy by establishing Hydro-Tec Italia in Creazzo, Vicenza. Although still in its formative years, Hydro-Tec's Italian offshoot is said to be showing a strong growth. Hydro-Tec started 2017 in good shape. Cooperation with Tractive is as strong as ever, with a new Pentruder wall saw in the 15kw class is expected to hit the market this year. Thanks to an unrivalled compatibility, four-speed gearbox and low weight, the Pentruder systems are becoming increasingly popular with specialist contractors. Having already secured a sizeable market share in the electric saw segment, Hydro-Tec anticipates a further growth in the short to mid term. Currently the company operates from two buildings in Rednitzhembach with a footprint of 4,300m2. In December 2016, a 1,500m2 warehouse was added to accommodate the growing number of orders. Hydro-Tec has 29 employees, excluding trainees undergoing an apprenticeship programme involving training in sales techniques, administration and logistics. They are also taught the fundamental principle of Hydro-Tec's modus operandi aptly described by the company's motto ‘quality without compromise’.